Home / airports / tips / Cheapest way to reach city from Mangaluru airport in Bajpe! 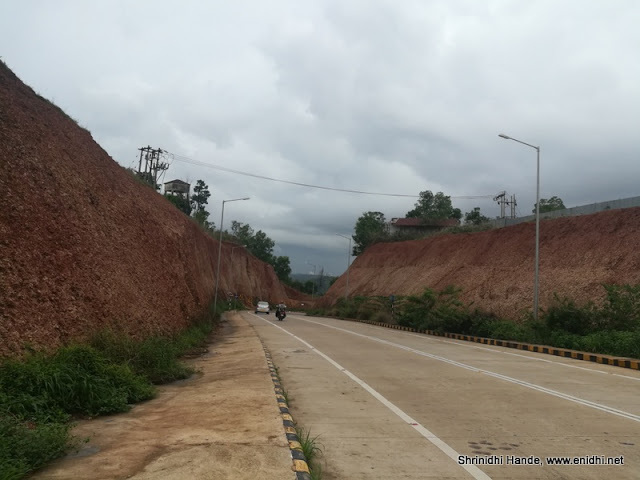 Cheapest way to reach city from Mangaluru airport in Bajpe! At times airport taxi may cost more than the flight ticket. Thus I always keep an eye for cheaper alternatives to reach city from airport or vice versa. I've previously written about cheapest way to reach Hyderabad airport, Chennai Airport and Cochin Airport. 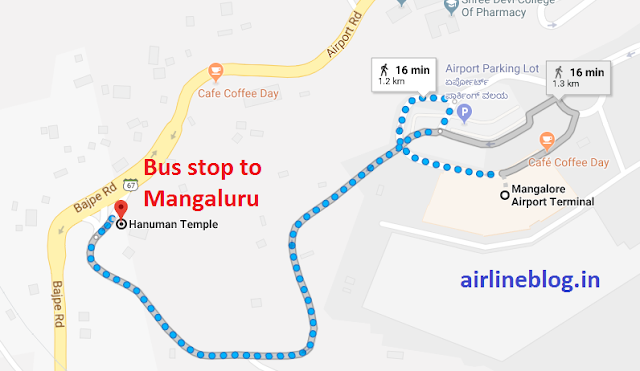 In this post I am explaining cheapest way to reach Bajpe's Mangaluru international airport (IXE) from city or how to reach Mangaluru city in lowest cost from Mangalore airport. Having flown all the way from Chennai to Mangaluru on Indigo for about INR 1750 or just Rs 2.5 per km (700 kms), I was in no mood to pay Rs 500-900 for a taxi from Mangalore airport to city (Non AC indica to AC Innova) just 12-15 kms- at roughly Rs 42 to 66 per km. Thus I was determined to find a cheaper way. Asking few friends and bit of online search gave me confidence that I can try public transport and don't have to spend a lot on airport taxi. Mangaluru airport is closer to my heart- it is closest to my home town, it was the airport from where I took my first flight long back as a kid- but over past 2-3 decades never had a chance to fly in- the cost and timing(one stop flights via Bengaluru that takes most of the productive day time) were not very tempting. 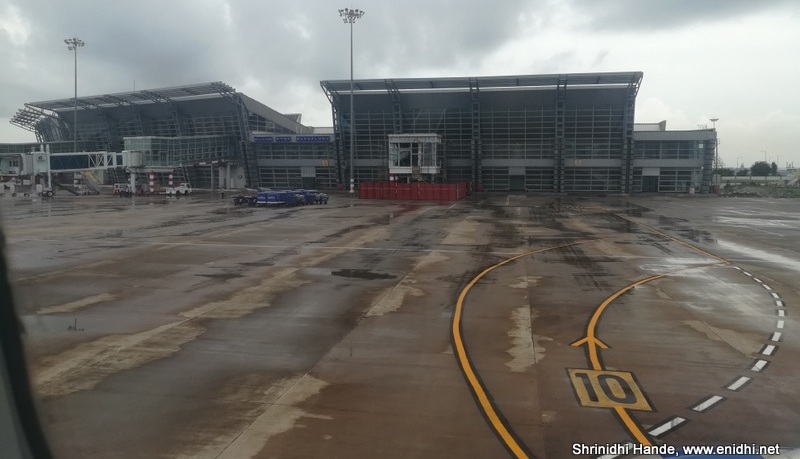 Recently Indigo and Spicejet have planned direct flight between Chennai and Mangaluru and at times prices are only marginally more than a KSRTC AC Volvo bus ticket, thus making a tempting proposition. However, unless you've an economical way to reach Mangaluru airport from city and city to airport, the cost of your trip will catapult. Unfortunately there're no direct buses to Mangalore airport. KSRTC once wanted to ply its AC buses to Mangaluru airport but the taxi mafia managed to ensure that no buses enter airport. [News] Thus you'll not get any buses that go till airport terminal. Ola/Uber are an option, but when I tried there were absolutely no cabs/autos. 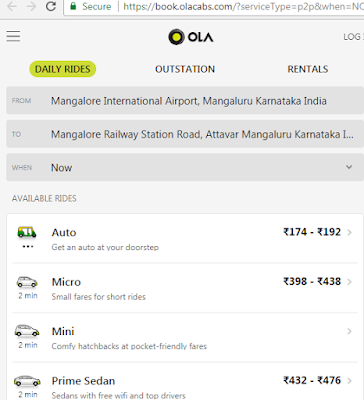 When I asked on twitter Ola confirmed they have service in Mangaluru airport but when I arrived, there were no cabs. Of course you could be lucky and may find a cab- but the probability is on the lower side- Mangaluru airport doesn't get too may flights per day and is away from city, so taxi drivers don't have a motive to come and wait near the airport- they have higher chances of getting rides inside city, so unless they've a drop or at particular time of the day that gets lots of flights you might get a Uber/Ola cab, but rest of the time won't- so Uber/Ola is NOT a reliable option when flying into Mangaluru. 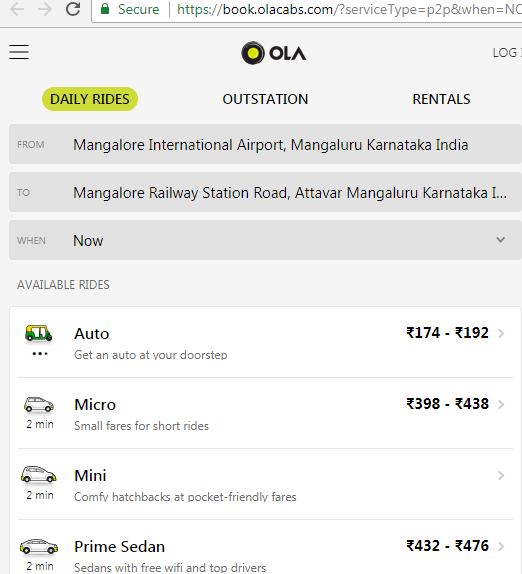 Above left: Ola website claims it is possible to reach Mangaluru railway station from airport for under Rs 200 by auto under 500 by car. Above right: Not a single vehicle was available at 12 noon. Hiring a taxi at airport will set you back by minimum Rs 500 (Non AC Indica) and up-to 800-1000 for Innova etc depending where you would like to reach in the city. High airport taxi parking fees, greedy taxi drivers who might be getting just one or two rides a day-hence have to earn all their daily money from just one or two rides are some of the factors to blame. Anyway, so what is the cheapest option to reach Mangaluru city from Mangaluru airport? The option is to walk for about 1 km from airport and reach the main road. This one km is a well paved road- you can drag your trolley bags. The bus stop is about 1km from arrival hall, down hill road-easily walkable. Use Hanuman Temple, Bajpe on google maps for easy identification. Which side of the road to wait? Should I wait for particular bus number? I don't think so. Most buses to to Mangaluru. Still no harm asking before boarding- if a bus doesn't go till Mangaluru, take ticket to Kavoor, closest town/hub from where you can get further transportation. 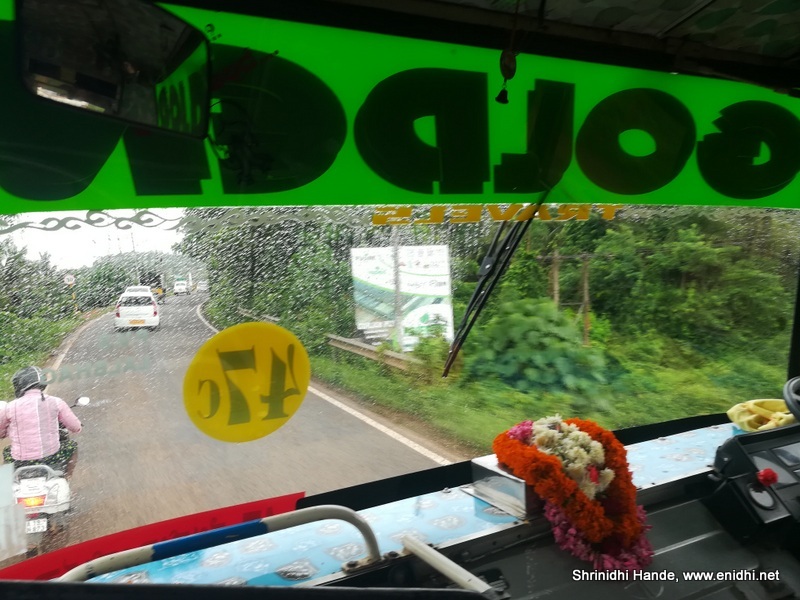 The bus fare from Mangaluru Airport at Bajpe to city is Rs 14, just about Rs 1 per km. Journey time is 20-40 minutes depending on traffic. On the way back also you can take a local bus that goes towards Kateel. Ask around in Mangaluru bus stand or wait in Lalbagh bus stop. Should I always go to Mangaluru city? No. 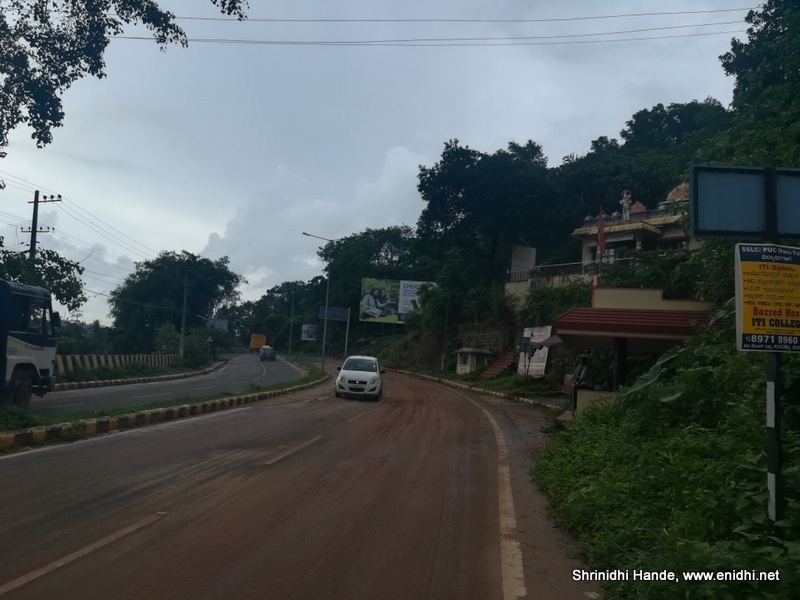 Going to Mangaluru city will be more convenient to catch further connections. You can also get down at Kavoor and catch a bus to Surathkal or wait in the opposite side and catch a bus to Kateel or Mulki. I believe you'll get buses from early morning till 8-9PM. Out of this time, frequency will be low and nill during mid night/before 6 AM. If your flight is during such time, then taxi is the only way. You can either drag them along till bus stop or pay for taxi if you value convenience over money. The road from airport arrival till public road is nice-possible to drag your trolley bags. If you wish to save a few hundred on the taxi, walk out of airport. Outside airport parking area, on the road you will find many taxis waiting- these taxis save on airport parking fee by waiting outside, hence you will be able to negotiate a slightly cheaper rate than what it costs to get into a taxi inside airport. You can also try team up with other passengers in the flight and try split the taxi fare. Do you have a better option? Do share your tips. Useful info.If we are travelling lite, then we can try to use your suggestion of getting into a city bus. Last week I tried for Uber from mang airport, surprisingly I was told that there is no pick up point from airport..!! Useful info. Nice to see Bajpe again. In my Mangalore college days (1995), flights were out of reach for us. Took a flight from there in 2010. Great job, Thanks a lot. Very Useful. Way back details ?? How to reach airport from mlore? City buses ply? 8am to 8pm only ? Shrinidhi, any idea about best way to reach airport from Udupi? I don't think there are direct busses that go to the hilltop. Sorry, unfortunately I don't have bus from Udupi info right now. No bus goes till airport but buses from Kateel to Mangaluru go on the road right infront of airport. So if you ask around you should be able to find correct bus info. Will update when I can. 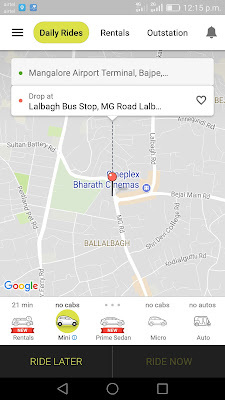 Till then, most convenient will be to go till Mangaluru (Lalbagh) and take another bus from there. Hey Shrindhi.. very useful article. Flying into Mangalore for the first time, so I have some questions. 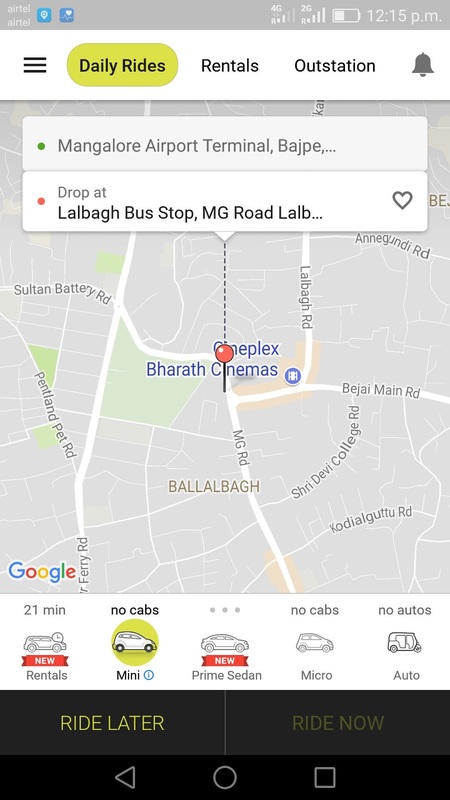 Is it safe for a solo female traveller to walk the 1km stretch to bajpe bus stop at 7pm? Is it deserted or is it common for travellers to walk it 🤔 And does the Bajpe bus stop have a bus to udupi?